Positive Thoughts ..prepare well and wish hard. I have heard that you can actually attract things that can happen to you with your mind . Though I have tried it , I have failed many times to make it work , I think I probably wasn’t trying or wanting hard enough . This was a one of those topics that my friend and I talked about 2 days before we attended our final test papers at the university … and yes ! we did try to positively think our way out to score for the test papers 🙂 !!! . But I think whenever I tried this out .. it always had an angle of suspicion or test , as in to test out whether theory works or not . Off course needless to say we need to prepare well also ( especially when it came to our final test papers for the exams 😛 ) . 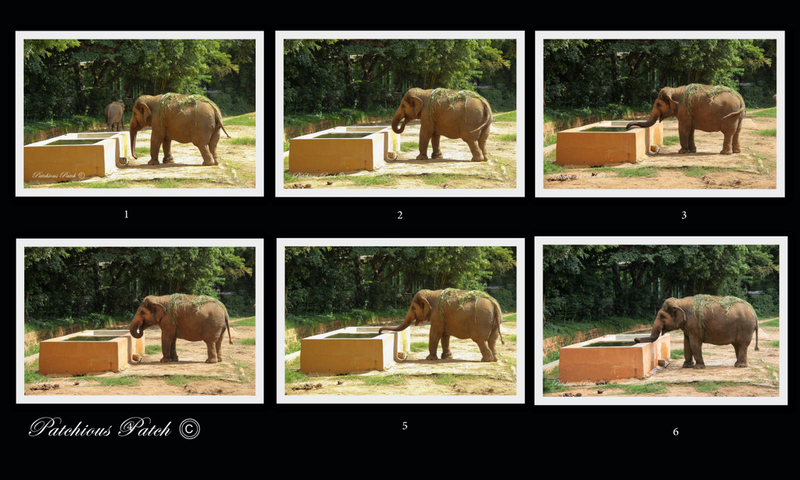 It was when saw an Indian Elephant eating away I put this to use , I told myself it would be just right if the elephant walked over to the cemented water tank to drink , I needed just that last shot to complete my set . I wanted it soo bad that I just kept on telling myself ” It’s gonna walk up there and drink water ” I must have repeated this a several times and like it heard me … it just slowly paced up there and put its trunk in to the tank and just kept drinking water for about good deal of minutes ,,more than enough for me to get several shots !!! .. I couldn’t believe it !! I actually made the elephant move ..or did I ? Was it just the right time at the right thought ? May be the elephant’s been eating for some time and its been thinking of drinking ..I am not sure, but ,..yes certain things do work out , ..still in hope and prayers potts ….prepare well and wish/want hard . Btw why do you put spaces between your commas and question marks and dots. I find it very strange so just wondering why. Is it just a habit? Keep writing friend. I only noticed it now .. I guess its a typing habit . This friends got a name ?? My last comment was incomplete. Your writing will be well received at https://medium.com/the-coffeelicious at least the ones that aren’t that personal like your latest one. Think about it please. Keep writing.